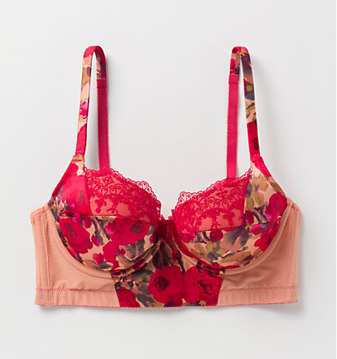 Ladies, don't forget the importance of your underpinnings for Valentine's Day! Regardless, of having a date or not, channel your inner vixen. Think playful – the definition is up to you… Dim the lights, queue up Barry White on your iPod and imagine laying on a bearskin rug by a roaring fire with whomever your "special someone" is, whilst sipping champagne and eating chocolate-covered strawberries on this haute holiday… If you so happen to have the latter, it's mandatory! In the words of Nelly, "It's getting hot in hur, so take off all your clothes…"